Somethings wrong! I need to see the dentist ASAP! We here at Sherwood Dental receive urgent calls similar to this one quite often. We know how uncomfortable a toothache, broken tooth or broken crown can be. We want to help our patients immediately. We always try our very best to see your dental emergencies on the day urgent calls are received. A toothache or abscess can be one of the most painful dental emergencies that exist. Extreme pain or throbbing in an affected tooth is typically due to an abscess or infection in the area. Most often patients experience a toothache caused by a broken tooth, decay or even trauma to a tooth. Treatment for these types of dental emergencies often starts with a prescription of antibiotics in addition to anti-inflammatory drugs. Antibiotics settle the pain of the infection in the area. Ibuprofen, aka Advil, is our first preferred anti-inflammatory drug of choice. Towards the end of your antibiotic prescription, we would like to see you for either a root canal or an extraction of the affected tooth. If root canal therapy is initiated before the antibiotics settle the infection, you may not freeze as well during the procedure. These are very common dental emergencies. We see them daily. Sometimes a broken or chipped tooth is due to trauma, but most commonly it occurs during normal chewing. We always try our best to fit patients into our schedule that day to assess the area. It is not always possible to fix your broken or chipped tooth that exact day. Rather, we smooth sharp edges and points of the broken or chipped tooth. Then we can sometimes place a temporary filling into place until we can get you in for a permanent solution. Typically, a composite filling is placed in the tooth to permanently fix it. If a break is significant enough, a crown or cap may be required. Accidents happen. With our extended hours, more than likely there will always be a dentist on hand to help with these sorts of dental emergencies (during normal business hours). Dental trauma can be the result of a car accident, fall or even an accident during normal play on the playground. We always try our best to see you or your child as soon as possible. We will help with pain management and give you options for a long-term solution. Types of dental trauma that we see are TMJ injury, avulsed teeth (teeth that get knocked out) or necrotic teeth that have been bumped or injured. We have dealt with lacerations to the lip and chin also. If you ever have a tooth knocked out, we always suggest that you find the tooth and pick it up by the crown. Clean the mouth by rinsing with water. Lick the tooth clean with your own saliva or pour water over it. Never scrub the tooth. Gently place it back into the socket and bite down on a tissue to help hold it in place. If re-implantation is not possible, place the tooth in your own saliva and see a dentist as soon as possible. If this is not possible milk can be used as a second option. Sometimes the dentist will splint this tooth to other teeth to ensure it stays in the right position. Never re-implant a baby tooth. Put your mind at ease. We work closely with dental insurance companies. We will help you fill out the appropriate paperwork to help you get coverage under your accidental dental plans. Pericoronitis is an infection that can occur near wisdom teeth when they are in the process of erupting in your mouth. A gum pocket or flap of tissue can develop behind your second adult molars. This area is very hard for patients to keep clean. Bacteria can collect in this area and start a small low-grade infection. This can be very painful and can even cause limited opening of the mouth for some patients. We help with these dental emergencies by flushing out the site with an anti-bacterial solution. Antibiotics are often prescribed to control the infection. If you experience issues with Pericoronitis, it is highly likely that you will require extraction of your wisdom teeth. These dental emergencies are not as common as the others listed here, but losing a crown or veneer does occur. Sometimes dental crowns become loose for whatever reason and fall off. If you lose a dental crown or veneer and have it in your possession, be sure to bring it with you to your appointment. We will take an x-ray of your tooth to determine the reason your crown fell off. If decay is present on your tooth, you may require a new dental crown or veneer. If decay is not present, it is sometimes possible for us to cement your dental crown or veneer on that same day. These dental emergencies are common for many people. Bruxism, clenching and grinding of the teeth, is often the cause of this type of pain. Bruxism is a habit that overworks the muscles of your neck and jaw causing the buildup of lactic acid in the muscles. This buildup can be quite painful for patients. It is often the cause of headaches and migraines. We recommend heat, exercises and muscle relaxants to help with these dental emergencies. If this has been a long-term issue for patients, we work with other health care providers to assist in chiropractic care, physiotherapy massage therapy or even Botox treatments. Trigger points Botox injections is an exciting new treatment option to help treat TMD and provide relief for migraine/headache sufferers. 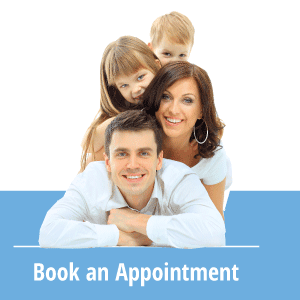 Our goal is to provide you with optimal dental care in a timely manner for dental emergencies, wisdom teeth extraction, root canals, crowns, bridges, veneers, white fillings, dental sealants, implants, Invisalign and gum grafting. If you are experiencing any of the above dental emergencies or others that are not listed, call Sherwood Dental at (780) 464-4166 ASAP! Any injury to the teeth or gums is potentially serious and should not be ignored.